Tegan and Sara’s new record Sainthood is officially released and has hit the shelves! It’s the band’s sixth full length album (Vapor/Sire Records) and Spin Magazine gives it four out of five stars. Nice work girls! 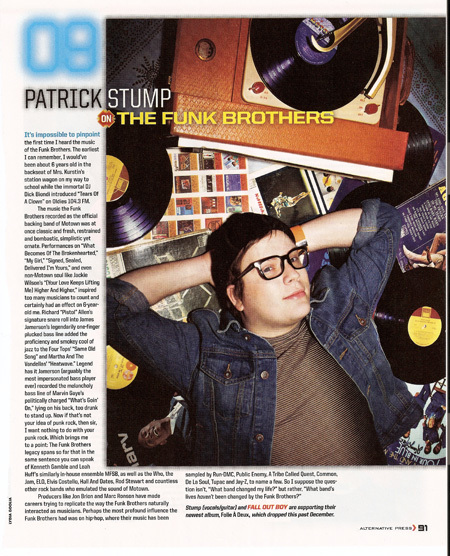 While they were in Seattle finishing up the record and playing a sold out show at the Showbox, they managed to squeeze in a two day photo shoot for the album artwork and press junket with Los Angeles photographer Pamela Littky. I was sooo happy they called me to do hair and makeup, I’m a huge fan! Their record ‘The Con’ is one of my favorite favorites! We shot most everything at Ben Gibbard’s (Death Cab for Cutie) capitol hill loft, and Gasworks park. It was magic watching Emy (super-genius art director) pull out props that she made for the shoot. She jumped from the laptop to sewing machine, to set, back to sewing machine. Her graphic projections brought the set to life. I can’t wait to see the other photos in print. Especially the shots at Gasworks park, Pamela spotted a tuba player rehearsing with a Scandinavian dance troop, and ran over to borrow the instrument. It was massive!! Somehow, Tegan was able to navigate it for a few shots.. The show was AMAZING! It’s no wonder they sell out venues. Yaaay!! You never know when you’ll see work in print, so it feels like Christmas when you discover something new. Seems like i’m always at Easy Street Records in West Seattle when it happens. 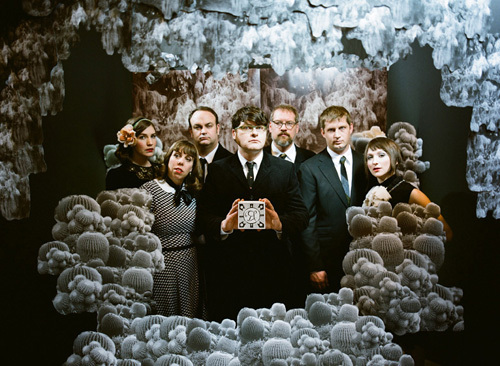 The Big Takeover and Sound Magazine both featured the Decemberists in the last months issues. All the shots were from a Portland shoot with LA photographer Autumn De Wilde . 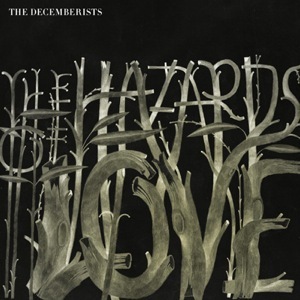 If you haven’t heard the Decemberist’s new record The Hazards of Love, it is soooo good… Just FYI..
Super fun shoot for Alternative Press Magazine with Seattle photographer Lydia Goolia and Patrick Stump, lead singer of Island/Def Jam recording artists, Fallout Boy. Patrick was rad!! He was wearing the coolest Chanel glasses that I’ve ever seen. We bonded over the video games on our Blackberry 8190’s and it warmed my heart to know that he is as addicted to the Word Mole game as I am. Ha! The shoot took place at a recording studio in Ballard before the Fallout Boy show at Key Arena. The rocker arrived in a Lincoln Town car complete with a body guard. Nice. My recent photoshoot with Capitol Records recording artist The Decemberist’s was an adventure! The photogragraphy for their new album Hazards of Love was shot by LA photographer Autumn De Wilde. I carpooled with Jenny Jiminez, Autumn’s assistant and Sarah Murphy, producer. We piled into the Subaru at 3:30 a.m. in Seattle and made our way to Portland, Oregon on one of rainiest mornings in Washington’s history. It continued to rain throughout the day. We arrived just in time for our 8AM call time at the Ace Hotel, grabbed coffee from Stump Town and headed out to Colin Meloy’s house. It was on the outskirts of Portland and up a huge winding hill, felt like we were in the middle of a forest. We quickly set up in Colin’s garage and I did makeup for the five band members and two guest vocalists, Lavender Diamond out of Los Angeles and My Brightest Diamond out of Brooklyn. When makeup and hair was set, we headed out for a fifteen minute hike up to the first location, in a down pour!! Garbage bags and umbrellas were used to protect the camera’s and equipment, and it was hard not to slip on the muddy trail. The location was incredible and worth the soggy journey. I was soaked for the entire day! The second location was the studio attached to the Ace Hotel. Dry land!! Autumn had a gigantic backdrop ready and had built a diorama out of black cardboard panels and cut-outs of cactus’ with weeping willows. Her creativity has no bounds. It ended up being a 14 hour day and at the end we discovered that all the freeways into WA were closed due to a huge sweeping flood. We ended up staying at the Ace that night, then I flew home next morning. Can’t wait to see the photos come out in print, it was truly one of the most memorable shoots that i’ve ever done. Stylist: Shirley Kurata Makeup/Hair: Me!